Summer is in the air and festival season is on the horizon! Now is the time to freshen your wardrobe and get ready for the sunny days ahead. Make this the summer of love and indulge in some authentic bohemian vintage. 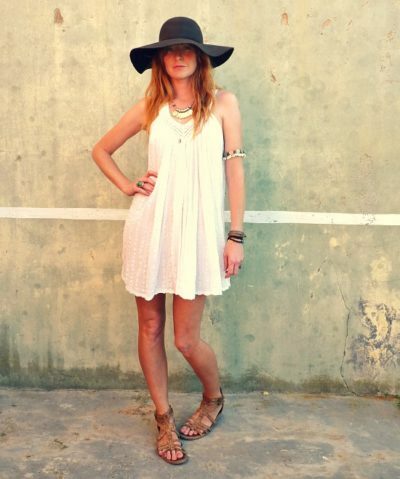 Our latest collection of vintage clothing is fun and flirty with a sassy, boho hippie revival! 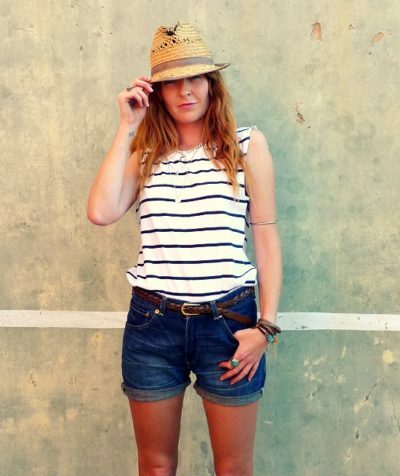 We’ve gone all out on tassels, Navajo T-shirts, Levi’s denim cut-offs and cute vintage summer dresses. Treat yourself and own the original! 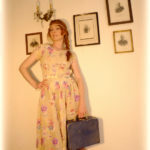 What better way to welcome in the summer than with a fabulous new collection of vintage clothes! This season with have a whole host of vintage delights to spruce up your wardrobe including 70s chunky summer knits in baby blue, yellow and mint green, 70s summer dresses, 80s t shirts, funky leggings, 60s shawls, boyfriend blazers and aztec print shirts. Here at The Stellar Boutique we’ve been busy hunting for more vintage goodies to bring you the very best selection of vintage clothing, vintage jewellery, vintage bags, vintage accessories and vintage homewares. Our vintage boutique offers a unique and diverse collection of select vintage pieces from the 40s, 50s, 60s, 70s and 80s. We cherry pick our vintage clothes and vintage accessories with today’s trends in mind and keep our prices as low as possible to ensure the joy of buying vintage is accessible for all! Our vintage clothing collection includes beautiful 40s & 50s vintage dresses, 60s hippie clothing, 70s vintage kaftans, funky 80s vintage leggings and so much more ensuring all your vintage clothing needs are catered for under one roof. The vintage jewellery collection is home to a delightful range of pieces from the 1940s right through to the 80s, this charming and quirky selection of vintage jewellery will add a touch of fun or glamour to your favourite look. With 40s and 50s rhinestone brooches, 60s hippie rings, 70s pendants and 80s vintage gems at affordable prices, you don’t have to be Elizabeth Taylor or Kate Moss to adorn yourself in collectible jewels! Our vintage accessories and vintage home range includes 40s driving gloves, 50s powder compacts, kitch 60s homewares, 70s aviator sunglasses and a wide range of vintage bags from all eras. The Stellar Boutique has it all so you can add that special vintage touch to any outfit and even dress your home in vintage for the complete retro look. You can view the full collection here. Vintage online shop Stellar Boutique is currently offering a whopping 30% off its vintage stock. Specialising in Sixties, Seventies and Eighties fashion, bargains include Sixties handbags, cowboy boots and Eighties peep-toe shoes. The Stellar Boutique on-line fashion store is a collection of vintage fashion classics mixed with on trend, ready-to-wear pieces. Featuring contemporary designers and boho vintage pieces, it’s a great place to find one-off items and unique, on-trend designs. The current vintage sale has got some real bargain pieces. We adore this Eighties black velevet bag with its Eiffel Tower logo and gold chain shoulder strap, a certain Miss Bradshaw would surely snap up such a bargain at £17.50. These Eighties silver and gold heels would look great mixed with a simple black outfit, and at £21 won’t break the bank. View the full vintage clothing collection here. To all vintage clothing devotees……. the warm weather kick start the SUMMER OF LOVE! batwing Tshirts, denim sun tops and classic retro Tshirts. for girly holidays and music festivals alike! reason to come and peruse the vintage boutique and snap yourself up that one unique gem at a great price. Stellar Boutique online fashion shop. Stella McCartney and Kate Moss know a thing or two about good style. Both are fans of Stella McClure, owner of newly opened internet shop, The Stellar Boutique. Previously running a vintage-customised stall at Portobello Market, McClure packed up shop in 2004 to travel the world in a campervan. Now settled in the Spanish countryside, she has decided to give it another go. This time though from the comfort of her own home via the power of the internet. The Stellar Boutique is a great concept. McClure travels the hippy-luxe trail across Europe to Marrakech in order to bring you vintage treasures. Everybody loves a one-off, and that is certainly what The Stellar Boutique provides. Featuring vintage bags, designer garments, customised pieces and exquisitely exotic homeware, there’s something for everyone. Unlike many other fashion businesses at the moment, McClure is keen to promote new designers and ethnic artisans. (Instead of ‘Marc Jacobs’ think ‘Marc who?’) McClure insists that real style is best grown from within, instead of stealing magazine looks or following trend advice. The Stellar Boutique offers the freedom to do this. But does it deliver? Standout pieces are endless. Let’s start with the accessories. There are the Moroccan style leather handbags.Then there are the mountains of unique jewellery to choose from. Pieces by Bora Bora, Lei Rose and Norwegian Wood are to die for. 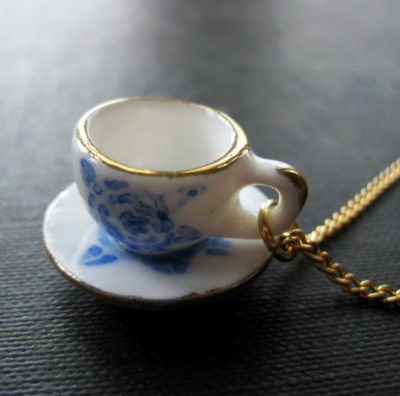 I love the porcelain tea-cup necklace and the silver postcard trinket by Lei Rose, as well as the feathered and fringed pieces by Norwegian Wood, and wow, have you seen the skull charm bracelet by Bora Bora? Even more for the Christmas list! Next up, vintage. There’s second-hand, slightly grubby, vintage fashion, and then there’s nice ‘I’m so glad only I have this’ vintage fashion. The Stellar Boutique falls into the latter category. The vintage section of the site is easily the big winner. With clothing separated into 60s, 70s, 80s, handbags, scarves, boots and boho, it couldn’t be easier to navigate towards your era or item of choice. Boho features peasant tops and kaftans Sienna would covet. The 70s section showcases (unusually beautiful) standout dresses at massively cut-down prices, and 80s can tailor to all your glam rock needs. There are sparkly 80s style heels and some killer red leather stilettos in the shoe department, as well as the standard biker or cowgirl boot. With menswear and more accessories coming soon, you’ve got to keep checking back for more goodies! As if it needed to be said; everything is quality assured, hand-picked and highly loved. Check out the site to update your wardrobe for 2010 with fresh, exotic pieces your friends can drool over. For Christmas, they are spreading the holiday joy with a 20% off discount sale on all vintage and womenswear, as well as homeware! So why not pick up something for your Christmas shindigs or New Year’s bashes now instead of waiting for the mania of the January sales?! Many of the latest sixties style mini dresses play it safe on the print, in order to offset that daring hemline, but it wasn’t always that way in the decade itself. This Op Art MiniDress from The Stellar Boutique is daringly out there in both print and cut, and makes a great sixties ode as a result. The Op Art style print creates a bold statement and is available in a great variety of bold colour combinations, shown here in yellow. A loose fitting cut offsets a mini length hem to create a high end look, leaving the angular lines of the print to create shape along the figure. It’s available from The Stellar Boutique online fashion shop, in the vintage clothing section, for £58.